This is part one of a two part article about the recent occupation of the Ministry of Education which ended yesterday. Part one focuses upon the responses of politicians and political forces to the Ministry of Education and part two will serve as a compare and contrast between this year’s occupation and last year’s Sunflower Movement. 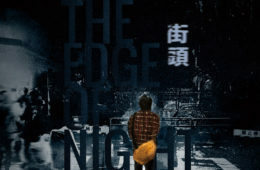 AFTER THE END of the occupation, but without a total resolution to the textbook issue, we might examine how the present crisis is revealing of the deep splits which exist within Taiwanese politics at present. In the present, high schools will decide on individual basis whether to use old or new textbooks, although textbooks have also been sent back to the Ministry of Education for review. Quite predictably, the present crisis has led to no small amount of conflict between DPP and KMT. But we might observe how the pan-Green, pan-Blue political camps, and independent camps have positioned themselves relative to the crisis which was sparked off by the Ministry of Education. Firstly, the present crisis is revealing is in regards to the deep splits within the KMT which have been made quite evident in recent days. 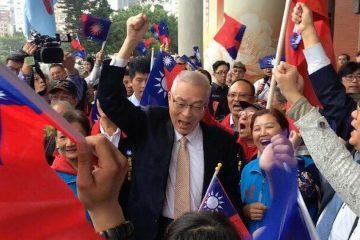 Second, the strategy by which the DPP has positioned itself relative to the textbook controversy are in some way revealing of its current stances relative to issues which have been raised since last year’s Sunflower Movement concerning KMT authoritarianism—and more broadly threats to maintaining Taiwan’s status of de facto independence relative to China. 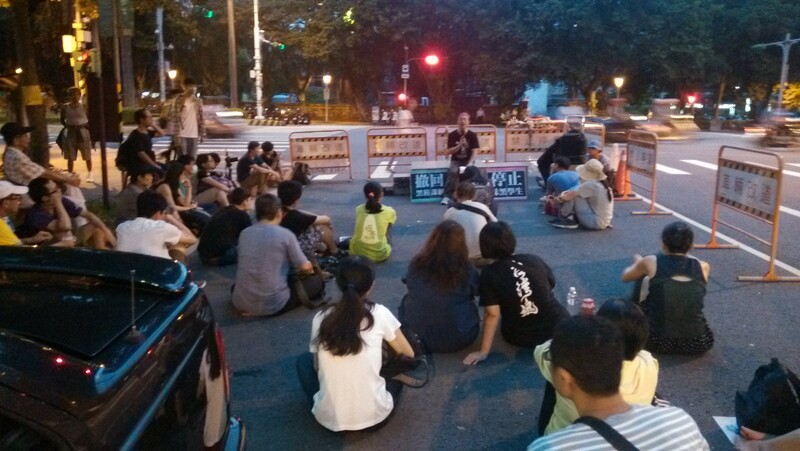 Third, the role of independent political forces within Taiwanese society at present can also be seen from how they engaged with the political crisis. How is the Present Crisis Revealing of Splits Within the KMT? IT WOULD SEEM that the extremist elements are running the show now where the KMT is concerned. 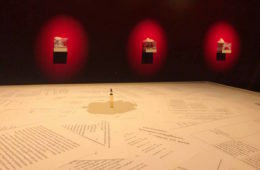 Notably, in the year since the Sunflower Movement, there are those elements of the KMT which have slowly come to the recognition that the KMT is severely disconnected from the mainstream of Taiwanese society—and that if the KMT is unable to reform itself in some way in order, its doom is in short order. But still others, which continue to cling to hardline KMT ideology, refuse to recognize this need of the KMT to modernize. Actually, though, the split within the KMT which occurred in the KMT regarding the textbook controversy did not occur along predictable lines. 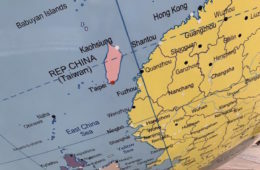 There has, of course, been much talk regarding the split between the “Taiwanese” faction of Wang Jin-Pyng and the “Mainlander” of Ma Ying-Jeou, seeing as that Wang, president of the Legislative Yuan, is seen as leader of the faction of the KMT which is less remote from native Taiwanese and Ma the leader of the faction of mainlander KMT stalwarts. Wang has in the past been willing to cooperate with DPP politicians and, in fact, come under scrutiny for his close ties to DPP politicians by other members of the KMT. 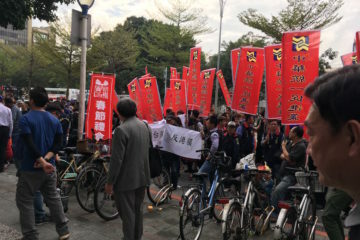 In the case of the present anti-textbook crisis, it surprises less when Wang was willing to acquiesce to the demands of the student occupiers to hold a special legislative session to discuss the issue in conjunction with DPP whip Ker Chien-Ming—or that Wang would be criticized by the rest of the KMT for this fact. 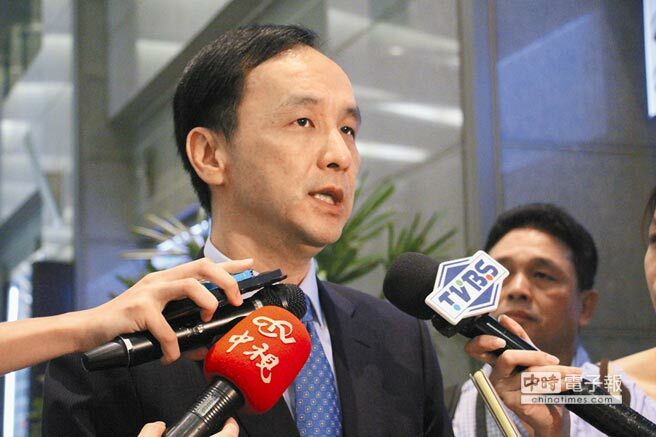 What is far more surprising, however, is that none other than current KMT chairman Eric Chu would come under scrutiny for taking a more moderate stance to the present textbook crisis than KMT hardliners would like. Chu, too, was willing to hold a special legislative session in order to resolve the issue—and Chu is generally seen as belonging squarely to the Ma faction. Yet apparently this was too conservative for KMT hardliners who have seized control of the party. What is the KMT so afraid of here, then? Namely, since last year’s Sunflower Movement and in the face of continued popular resistance from Taiwan’s young as expressed in this year’s textbook reform movement, the KMT probably is afraid of backing down. How will the KMT be able to maintain power if every year, Taiwanese youth rise up in opposition to it? If it backs down now, with the resulting loss of face, won’t that mean that every year Taiwanese youth rise up in order to challenge it? Actually, where rumors swirl that Minister of Education Wu Se-Hwa had offered to resign multiple times but the KMT refused to allow him to resign, it may be because of this terror of backing down. 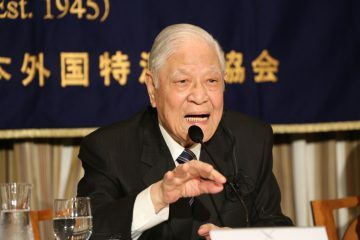 Wu Se-Hwa, to be honest, is largely a nobody who became targeted as a symbol of the textbook issue but has been made maintain a certain line because of his position. Wu Se-Hwa is, of course, nowhere near as significant an individual as Wang Jin-Pyng or Jiang Yi-Huah, who became targets during last year’s Sunflower Movement. But the KMT may see it as that a line must be drawn in the sand lest its power be challenged yearly by student uprisings over various issues. How Has the DPP Situated Itself Relative to The Textbook Crisis? 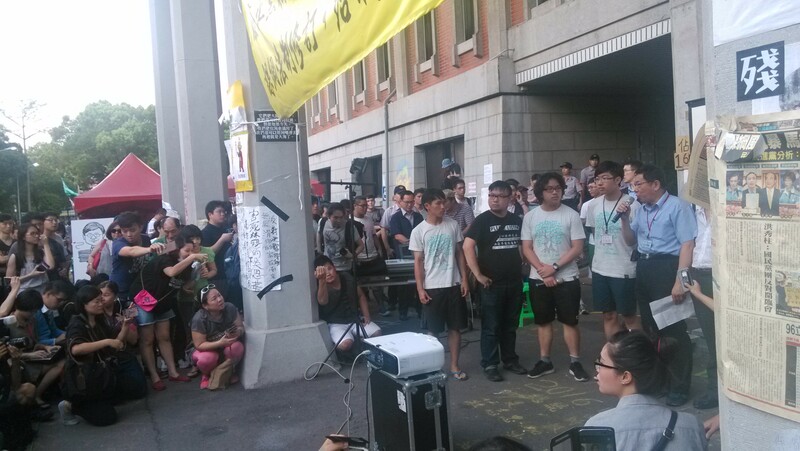 IF THE DPP was quite quick to mobilize after the start of last year’s Sunflower Movement, setting up an encampment outside of the side entrance of the Legislative Yuan not too long after the start of the movement, it has been decidedly slower this year. No such encampment was created. 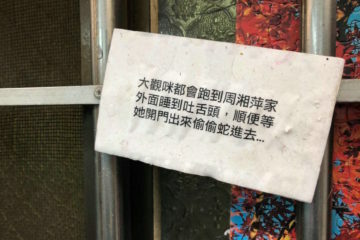 But this also points to that this year’s anti-textbook revision movement is hardly as all-encompassing of society as last year’s Sunflower Movement, even if numbers within the Ministry of Education encampment can at times be comparable to the numbers present at the Legislative Yuan. It may be that the energy of the DPP is focused upon 2016 elections at present with not more than several months to go, hence less focus upon the present movement. 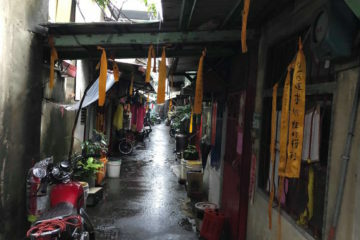 However, if a criticism leveled against the Sunflower Movement was that it was a machination of the DPP, that the DPP was accused by the KMT last year of stirring up the Sunflower Movement by inciting Taiwanese youth towards socially disruptive behavior—and that some section of the Taiwanese public actually genuinely believed this—it may also be that the DPP wishes to keep some distance from this movement. 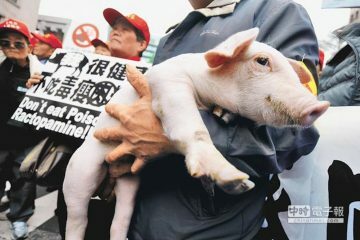 If accusations have followed suit from the KMT and other forces of social conservatism that the movement is manipulated by the DPP, the DPP has adopted an attitude of distant but not direct support. 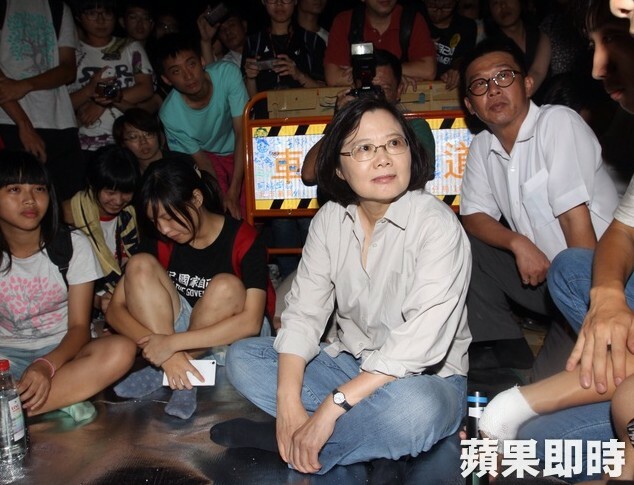 DPP presidential candidate Tsai Ing-Wen paid a visit to the Ministry of Education after midnight on August 3rd, to speak with student occupiers. 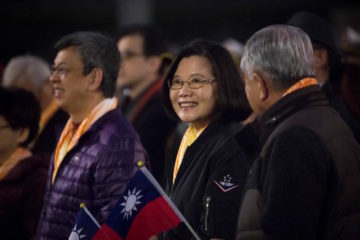 But given that Tsai did not visit during the day, in which public limelight would have been upon her, and visited unannounced, this was not perceived in the public eye as direct support of the movement—although accusations were made nonetheless. It is notable that Tsai did not publicize her visit widely, for example, on her social media accounts. 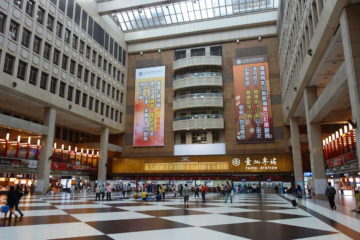 Since then, with the swing towards a legal solution for the present crisis with high schools being allowed to decide which textbook to use after the occupation, the DPP has claimed to support this stance towards freedom of choice while also emphasizing a vague support of the older, more Taiwan-centric textbooks. 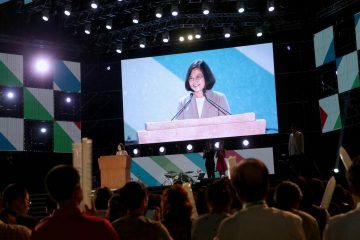 Tsai has announced that the DPP would send a letter explaining the controversy to high schools in the 13 counties under DPP control. How Have Independent Political Forces Situated Themselves Relative to the Textbook Crisis? 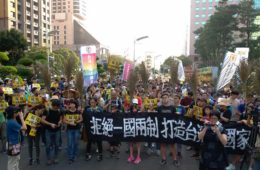 TO BEGIN WITH third parties which emerged from Taiwanese civil society after the Sunflower Movement have been involved in the movement or expressed support towards the movement. 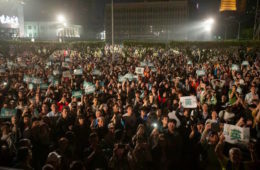 In terms of participants on site, members of the Free Taiwan Party were probably largest in number, followed by the New Power Party. The New Power Party seemed to have the most political candidates who gave speeches at the occupation site, most prominently Freddy Lim. Taipei mayor Ko Wen-Je as an independent political candidate who was largely put into power by Taiwanese civil society, but who has subsequently come under some criticism since from civil society because of controversial political views, has largely taken a critical position. 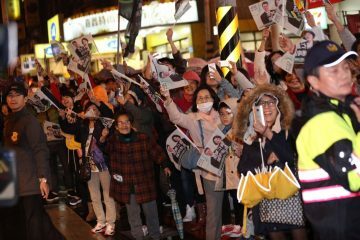 Ko, whose political position as Taipei mayor has been the political position the last two Taiwanese presidents held before become president, has been tentative in expressing support for the movement given his position highly ensconced within political power but in an indirect way expressed support nonetheless. Apart from various statements criticizing Minister of Education Wu Se-Hwa, or stressing that he would do his best to restrain Taipei police so long as student occupiers did not overstep their bounds, Ko was among the first to jump onboard the proposed solution to the textbook crisis of allowing high schools to choose themselves whether to go with the new textbook or the old textbook. That Ko would make a surprise appearance at the Ministry of Education on the last day of the occupation—despite really having not a lot to say which hadn’t already been publicly said—was a way of getting in the last word where the movement concerned. 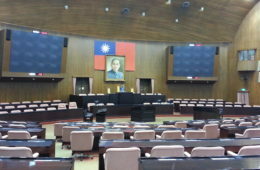 Ko’s position, though not indicative of the position of those politicians who come directly out of Taiwanese civil society as the politicians of the so-called “Third Force” or the “Third Political Force”, is perhaps indicative of those independent politicians whose stance is neither pan-Blue or pan-Green, but who are rather far from the pan-Blue camp nonetheless. It would seem the tides are turning against the pan-Blue camp, period. Solutions to the Textbook Crisis? IN THE PRESENT it looks quite likely that the textbook crisis will be resolved through legal procedures stating that high schools will be allowed to use the old textbook or new textbook depending on the judgment of individual high schools. This, then, would provide for some semblance of political resolution with an apparently pan-blue textbook in circulation in addition to a pan-green one. But does this solve the textbook issue? 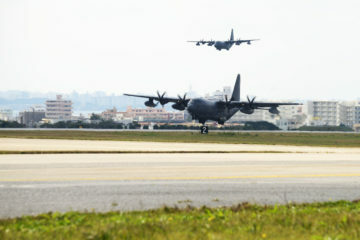 This provided sufficient justification for student occupiers to declare victory and withdraw, apart from the fact that a typhoon was bearing upon them. 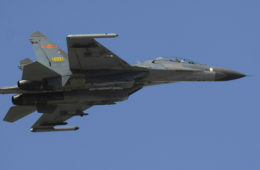 But at heart the textbook issue has merely been a mask for the more fundamental questions raised of Taiwan’s status in the world. Last year’s political crisis over the CSSTA trade bill, as expressed in the Sunflower Movement, was a cipher for broader anxieties concerning the KMT government’s attempts to bring Taiwan closer to China, just as this year it is regarding textbook reforms. However, the question we might ask ourselves instead is in regards to the goals and aims of the textbook movement itself. 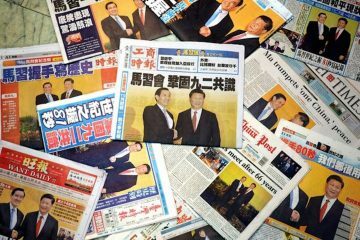 If the textbook issue rose to such importance because it reflected anxieties about the continued attempts of the KMT government to draw Taiwan closer to China, none of the proposed solutions addresses in any way this larger problem. In this way, the textbook issue could only truly find resolution should the larger international questions about Taiwan find resolution. What Now After the End of the Occupation? 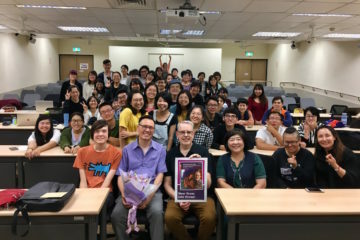 WHAT THE PRESENT movement reflects is that if last year’s Sunflower Movement was the uprising of college activists and this year’s movement of high school activists, until the status of Taiwan’s de facto independence from China but the KMT’s continued attempts to claim that Taiwan is part of China is settled, resistance from continual generations of Taiwan’s young will be never-ending. And no amount of effort by the KMT will stop that. If there is anything that the present crisis has illustrated, it is that the future belongs to Taiwan’s young. 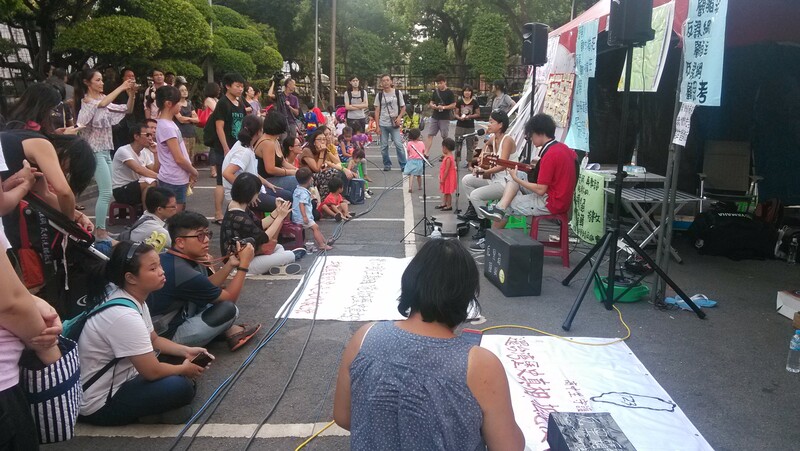 And Taiwan’s young are determined to take hold of their future in their own hands, even if it means fighting. If students vowed that the end of the occupation was not the end, although it is true that the textbook controversy is not fully resolved either, neither are students done fighting. However, with that exhaustion will certainly set in after the movement, we will see as to what the future brings. 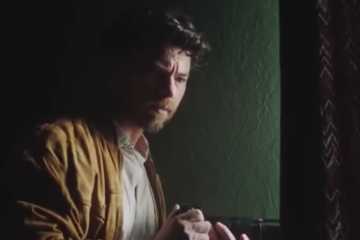 A Decline in Pan-Green Media?